Sometimes, one doesn’t have to scroll through endless Pinterest boards and magazines to find inspiration for the perfect wedding invitation (though it sure is fun). Sometimes, the inspiration conveniently arrives in your postbox. Such was the scenario for our Real Wedding bride Amanda. She loved the design of a family friend’s classic wedding invitation so much, she made it her own—and we couldn’t blame her. With just the right amount of modern, our ecru paper was paired with an elegant gold script that perfectly set the tone for the romantic Black Tie wedding. * All photos are courtesy of Bonnie Sen Photography. How did you and your fiance meet, and how did he propose? Mike and I met junior year of college at an event my sorority was throwing. After college, we dated long distance for five years until I decided to move to Washington, DC. Finally (phew! ), after seven years of dating, Mike popped the question at my parents’ house on the 4th of July. It was a private, sweet and simple proposal, which was perfect. We spent the rest of the day and night celebrating with lots of family, friends and fireworks in the sky. 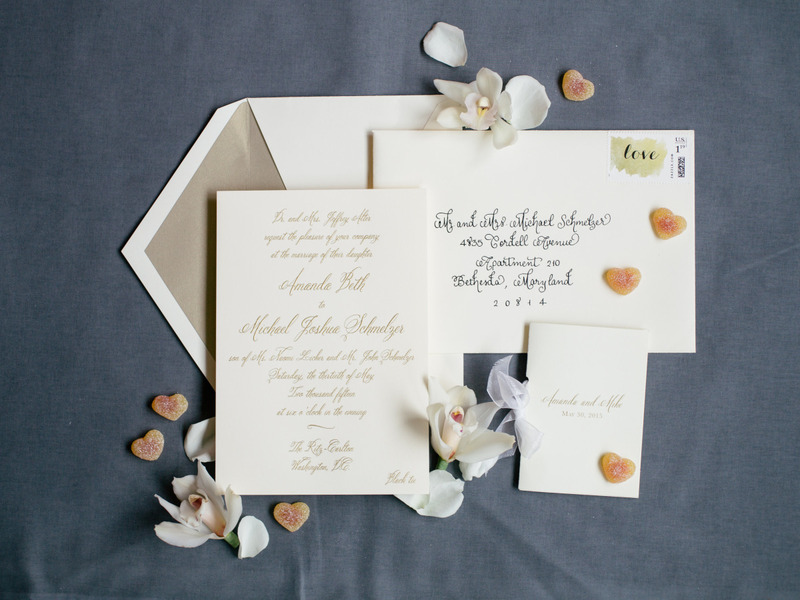 Tell me about the process of choosing your wedding invitations and did you have something in mind going into your first appointment? Did that change? Going into the process, I knew I wanted an invite exactly like what I ended up with. I actually have a close family friend who used the same invitation suite, and I loved it so much. I tried really hard to find something different, that had the same look, but I could not find another invite I loved as much as this Crane & Co. invitation. I love the invitation suite we ended up with because it is simple and classic, but I felt the font had a modern feel, which I really loved. 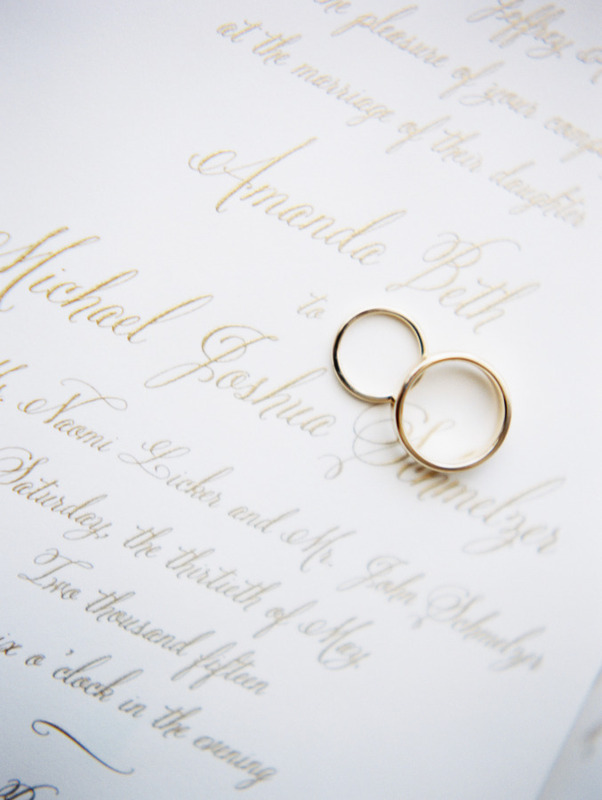 Do you have any advice for brides-to-be on the invitation process? There are endless choices and options. Look through blogs online to get an idea of what you want and bring pictures of your inspiration for the invite, as well as for your wedding to help the stationer understand the vibe and feel of your wedding. 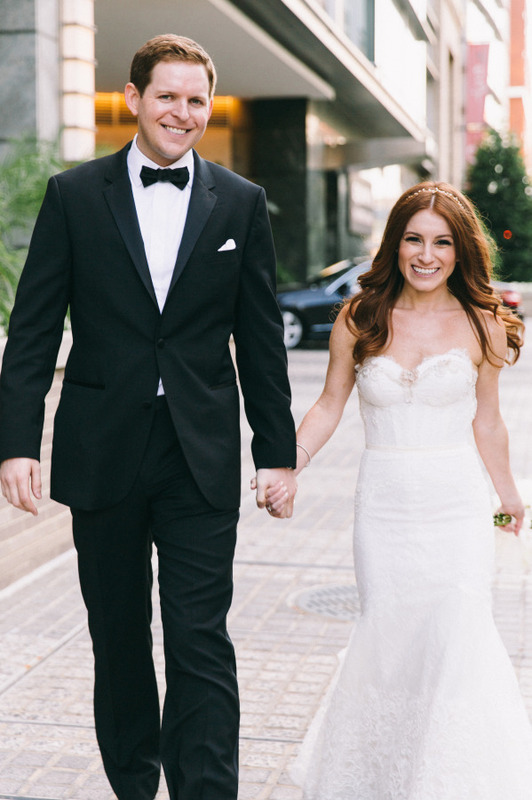 What was your favorite moment from the big day? My absolute favorite moment of the day was when we were finally married and we were able to let loose and celebrate with all of our family and friends! We ended our evening on stage with the band dancing and singing—so that was definitely a moment we will never forget. 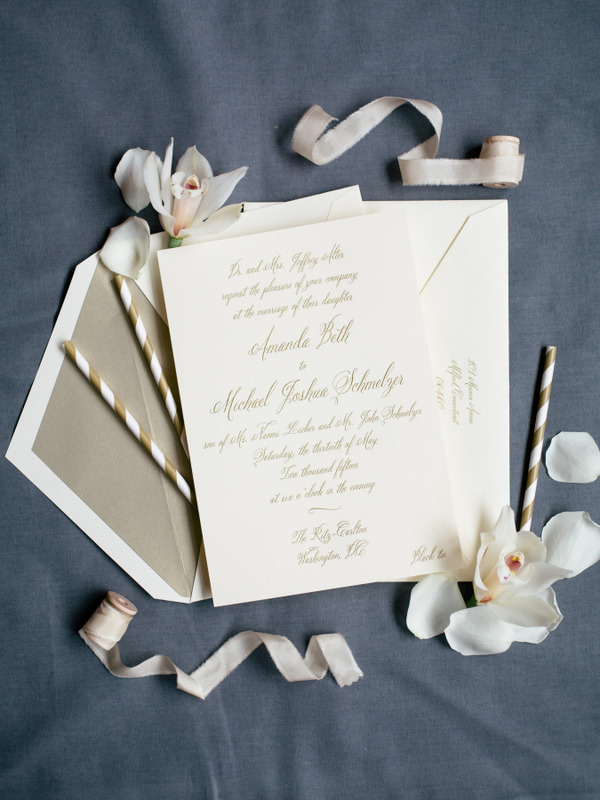 Are you a bride or stationer who has a Crane & Co. wedding invitation you would love to share? Email us at concierge@crane.com!